Let's travel the world! 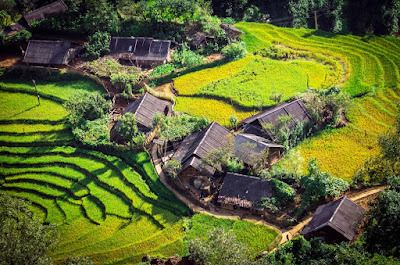 : Sa Pa, Vietnam! 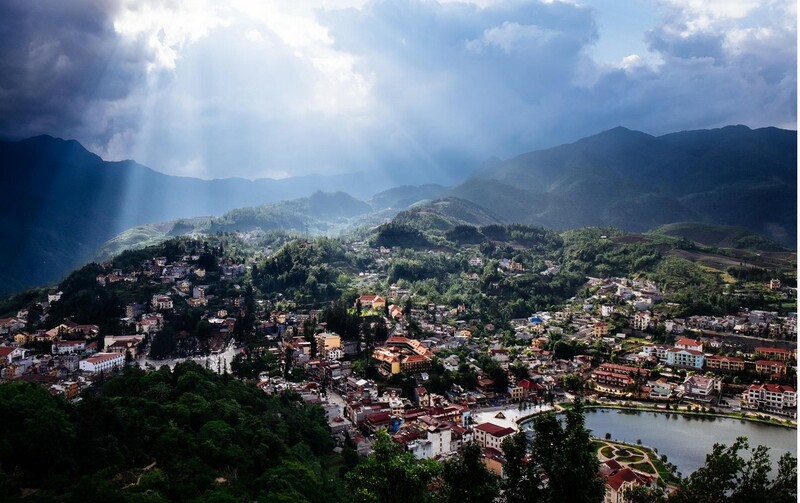 Sunshine Over Sapa Town, Vitnam. 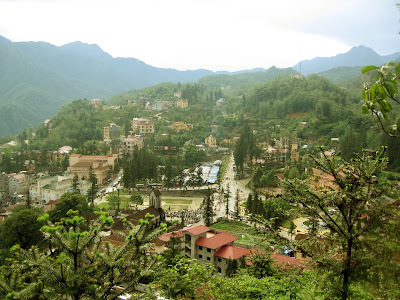 Sa Pa, or Sapa, is a town and capital of Sa Pa District in Lào Cai Province in northwest Vietnam. 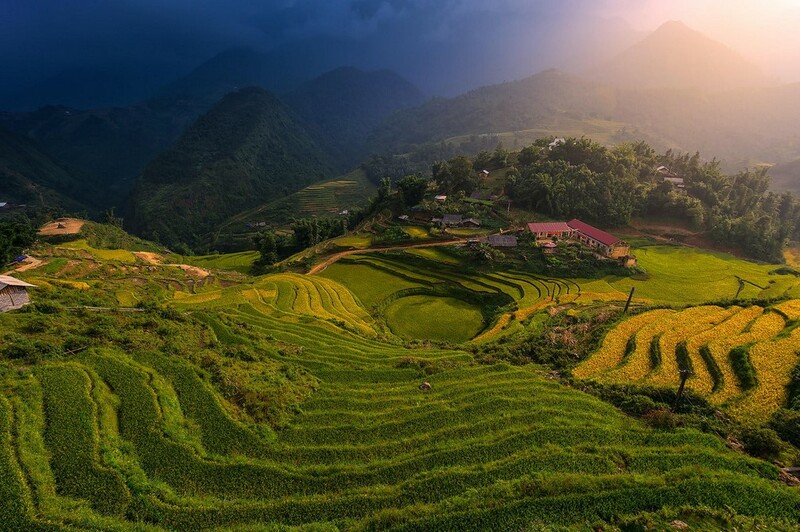 Located at 1500 meters (4921 feet) above sea level in Vietnam's remote northwest mountains, Sapa is famous for both its fine, rugged scenery and also its rich cultural diversity. Rice Terraces of Sapa, Vietnam. 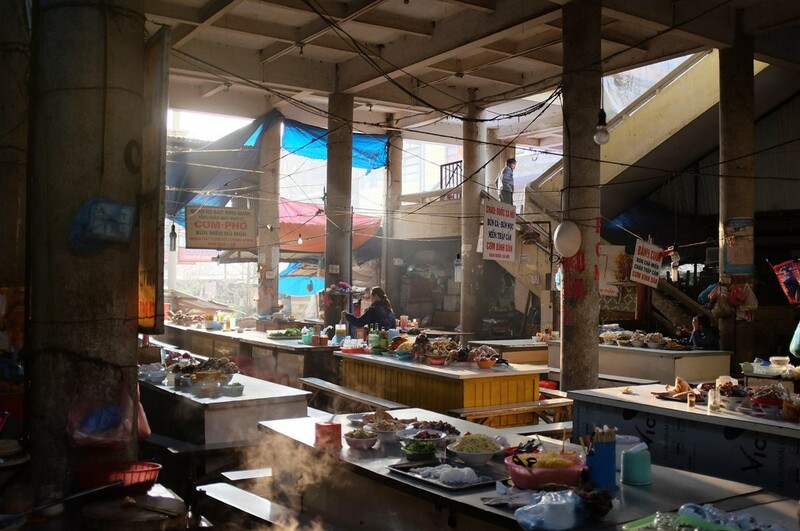 The way to CatCat is taxed at 40,000 dong,while the way to Ban Ho & Lao Chai villages are taxed 40,000 dong in one ticket. 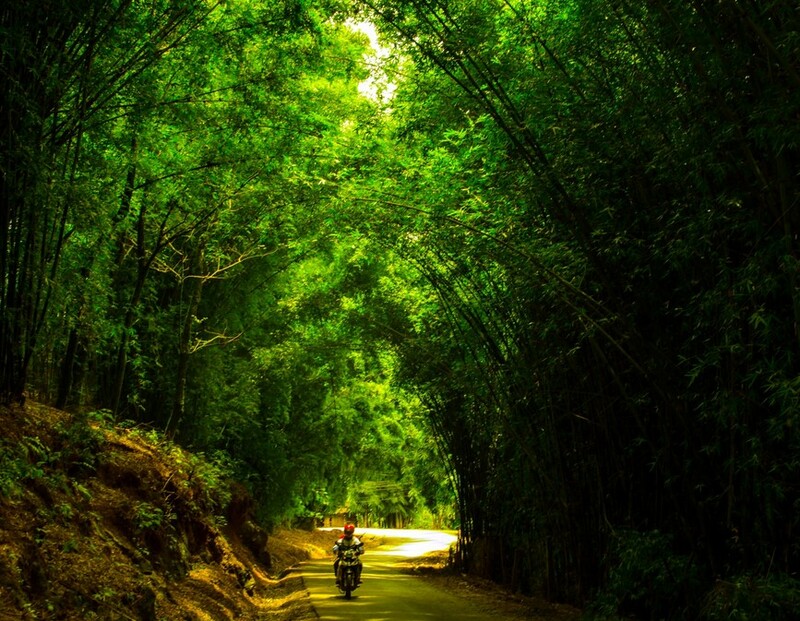 The way to Ta Phin village is taxed at 20,000 dong as well. Tourists intending to trek to the various villages through the paddy fields should be prepared with good trekking shoes or rubber boots, a walking stick and extra clothing kept in a waterproof bag. These treks are best done in groups as the guides know where they are going and can help you if you get lost or fall over. 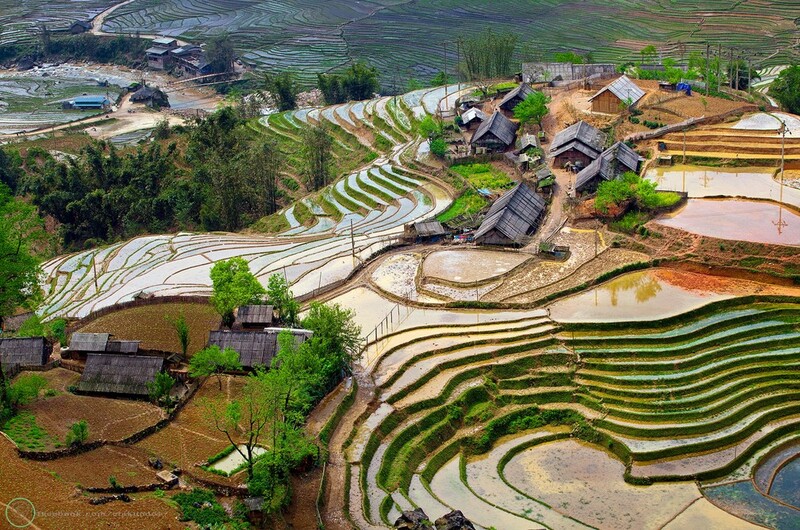 Depending on the season, the rice fields, which are build in terraces, can be very muddy and slippery. Walking sticks can be bought from children from the ethnic minority groups at about 5,000 dong. Be very careful when you're driving, these are not the roads that you're used to. There are no doctors or emergency services. And if accident occurs while you're out of town, no one will know where you are. Drive slowly. Downhill at 15-20 km/hr is the safest bet, use your horn at every corner. 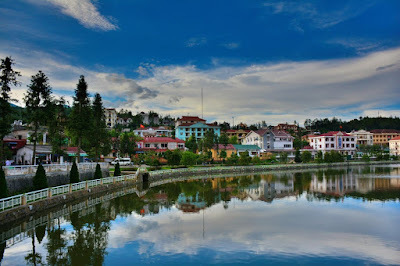 Lao Chai Village, Sapa, Vietnam. 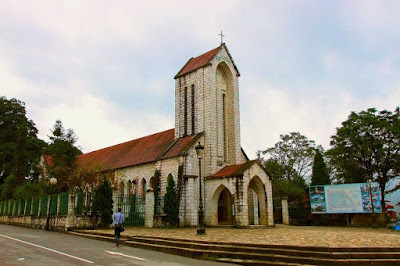 The Catholic church in Sa Pa, built in stone in 1930. Fresh Fruit at Sapa Market. 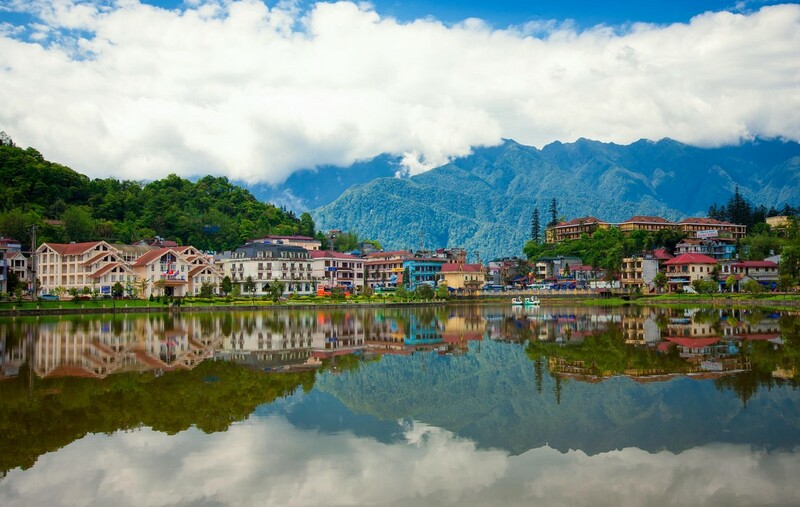 Sapa is a charming mountain town, surrounded by picturesque mountains and rice terraces. Great views of the area can be had from the nearby hills. One of these has been built up into a tourist attraction with various gardens, ethnic minority dance performance areas, viewpoints, and restaurants. It's a short walk south from the central square and then up some stairs. 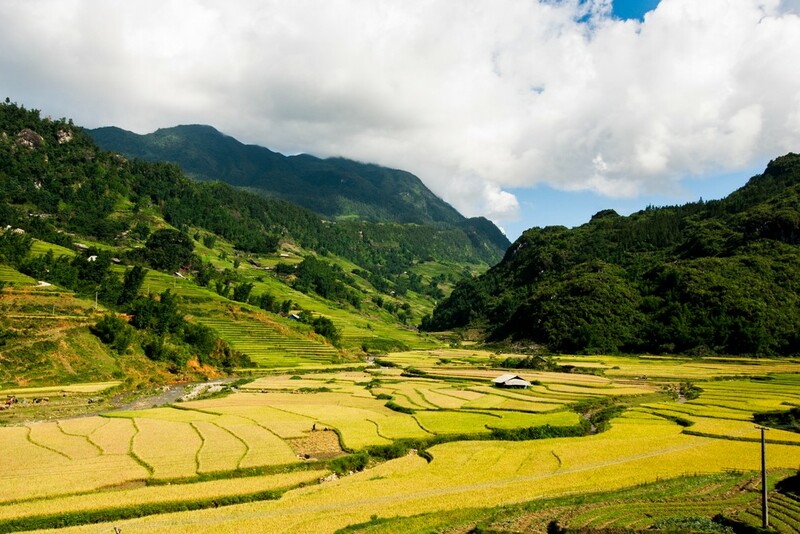 If you got time then it's worth going to the "Sa Pa Culture Museum" Open daily 7:30AM-11:30AM,1:30PM-5:00PM. Admission free, where you can learn about the history of Sa Pa and the costumes & traditions of the Ethnic groups of Sa Pa. The museum is located behind the Tourist Office. It's also worth to check some of the colonial buildings left by the French colonialists such as the church,the square and Town Hall building. While walking in the mountains you will encounter many hill tribes such as the Red Dao tribe. 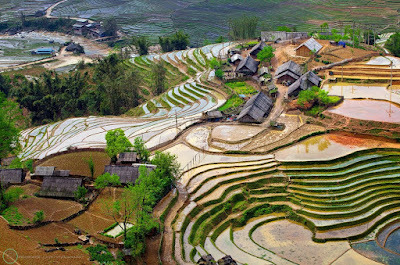 Rice farms and tribal villages. Sapa, Vietnam. Small village in Sapa, Lao Cai, Vietnam. 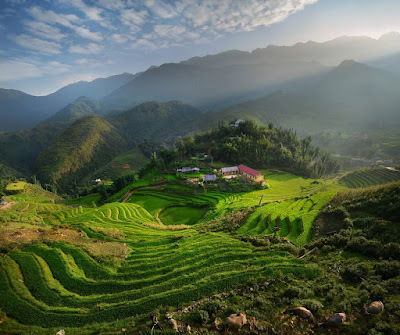 Sit and Drink: Sit on the balcony of a hotel overlooking the valleys drinking a beer at sunset.Hmong Sewing Classes: Indigo Cat provide Hmong Sewing Classes but you also will find a huge selection of local products such as genuine handicrafts, different teas or cardamom. You can find it at 046 Fansipan Str. 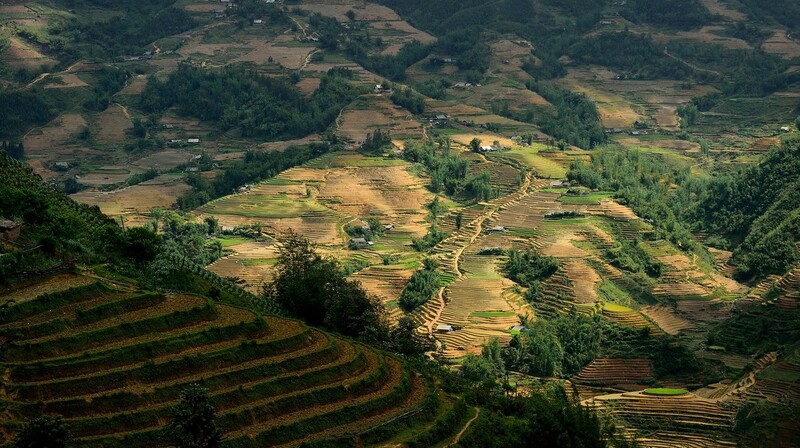 Trekking: Sign-up for a trekking trip that enables you to stay overnight at one of the villages. The homestay experience is not uncomfortable (some homestays have hot water showers, while some don't. Red Dao homestays may have herbal baths. Ask in advance if this is important to you) and an enriching one. Bring a sweater, as the villages can be very chilly at night and there are no heat sources of any kind except for the cooking fire in the kitchen. Thick blankets will be provided when you sleep. 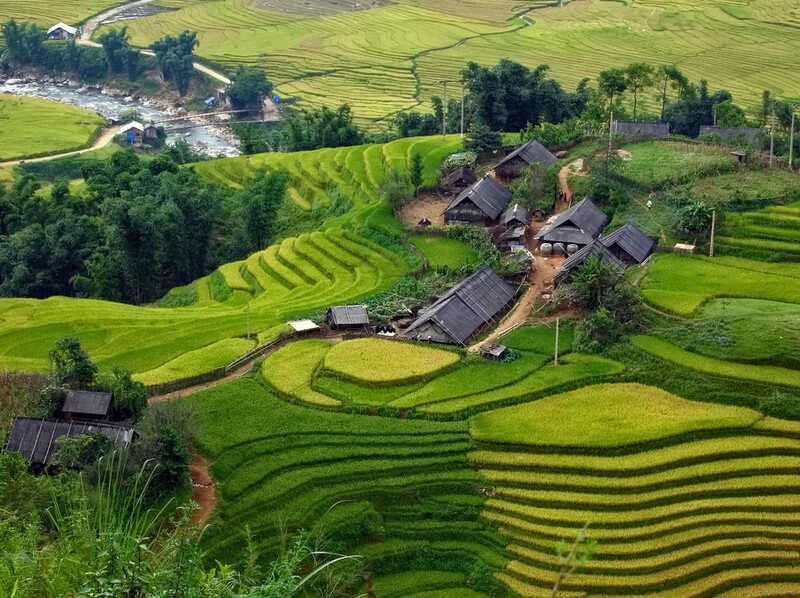 These treks can be purchased in Hanoi as part of a package, or you can ask for private treks. Heaven's Gate: The mountains will take your breath away. Join a tour or go by rented motorbike. Get directions and a map from the very friendly girls at the tourist centre right in the middle of the town's square. If you go on tour it will be a half day thing with a waterfall nearby thrown in. This waterfall has its own charm. Viewing the mountains is free, though there is a small charge to enter the waterfall. 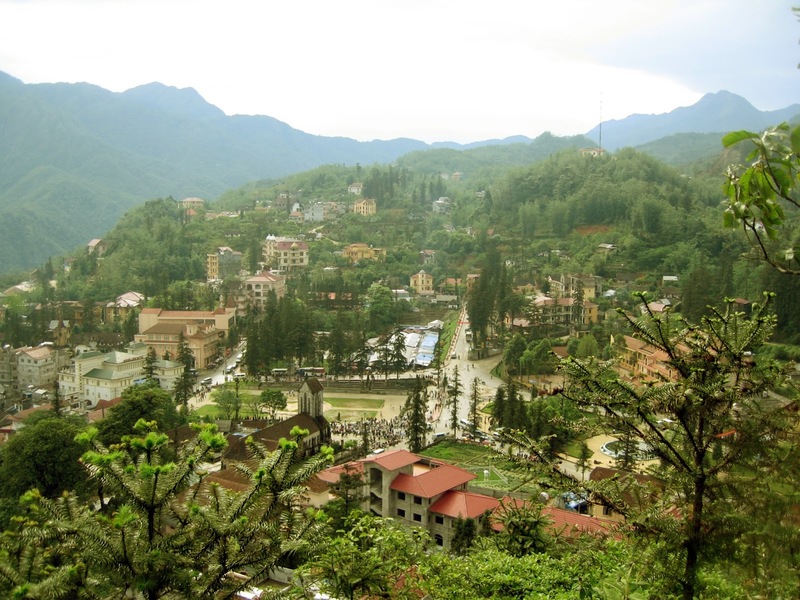 Go Solo Biking: Hire a motorbike from one of the villages outside of Sapa. When you pay at the pay stations, they give you a pretty good map or you can buy a great 'Tourist Map' for about 20k at the tourist information center. All of the trekking routes are marked. 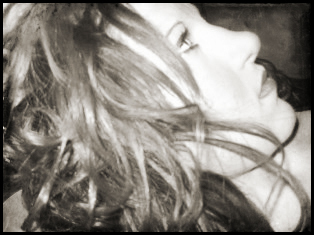 Paths are generally easy to follow. Sapa Lake: A 5-minute walk from the church will bring you to Sa Pa lake where you can rent a pedal boat for 40,000 dond/30 min or 80,000 dong/hour. Note that the pedal boats are available only on weekends& good weather days. Remote Sapa valley: Catch a free shuttle bus from the Topas Travel Office at 9:30 AM (21 Muong Hoa Street, Sapa) and drive 18 km to the Topas Ecolodge in the remote Muong Hoa valley. 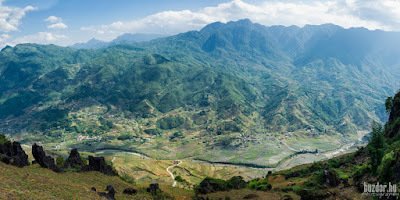 From here there is excellent access to various hikes to areas with no tourism (in contrast to busy Sapa). The ecolodge has an excellent restaurant with great views of the mountains. 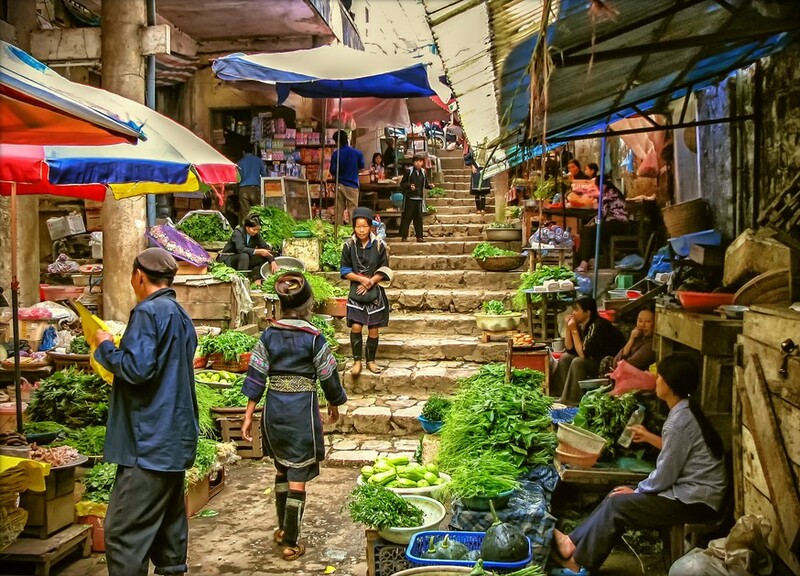 Market in Sapa Town, North Vietnam. Terraced fields in Sapa, Vietnam. 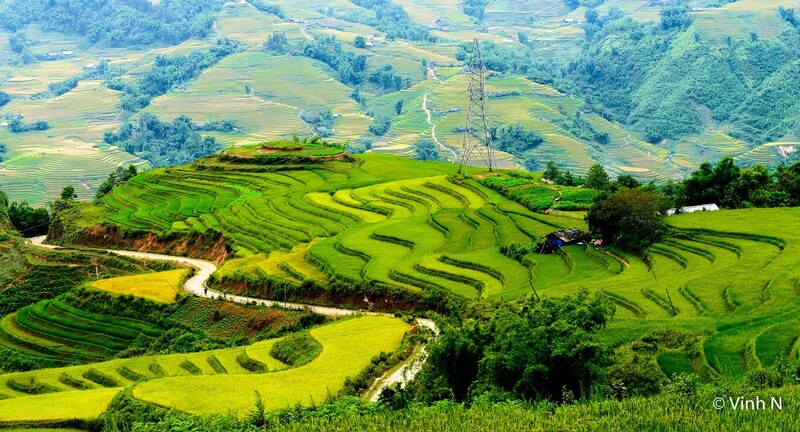 By train: From Hanoi it is a 9-hour train journey to Sapa. By sleeper bus from Hanoi: The bus station in Sapa is in the centre of town, near the lake. 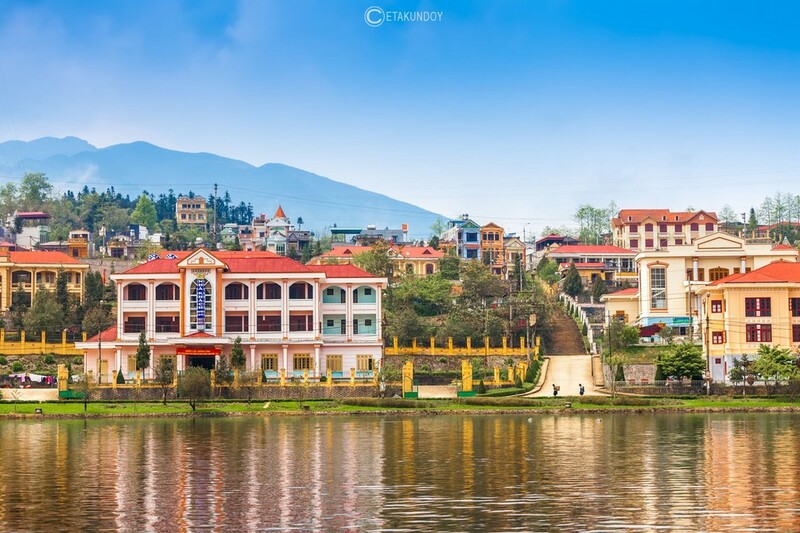 While you are more likely to pay between 250,000 to 350,000 VNDs for a sleeper bus to Sapa from Hanoi, you can book sleeping buses to Hanoi for only 300,000 dong from SaPa. Most buses you can book through travel agents for almost the same price. 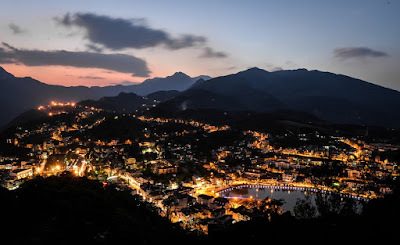 By express bus from Hanoi: The Sapa Express Bus, Hanoi - Sapa - Hanoi departs daily via the newly built Hanoi - Lao Cai highway. It takes about 6 hours of driving from Hanoi to Sapa, depending on traffic and weather. 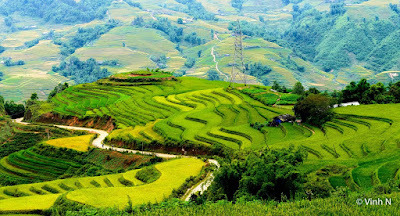 You will enjoy the view of the Vietnamese countryside along the road and it is by far the quickest and easiest way to travel between Hanoi and Sapa. 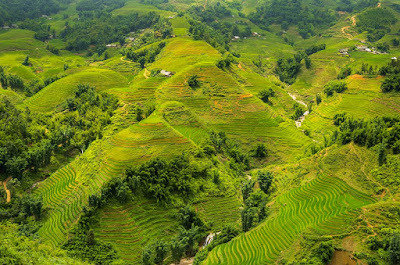 Most travel agencies in Hanoi can arrange the ticket, costing about USD 16/person/way - or you can book through Sapa Express directly. By bus from Lao Cai: Local minibuses leave from in front of the Lao Cai train station at 5:40, 6:00, 7:00, and every 30/60 minutes until 18:00. 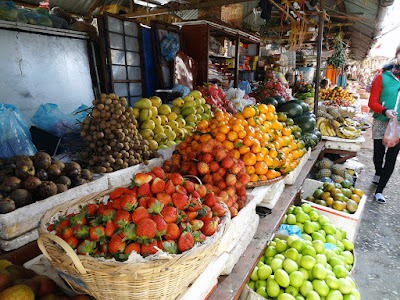 Price is 28.000 VND, stated on the bus door, and it includes bags. The ride is about 1h 15min, the minibus has AC and the road is fine. 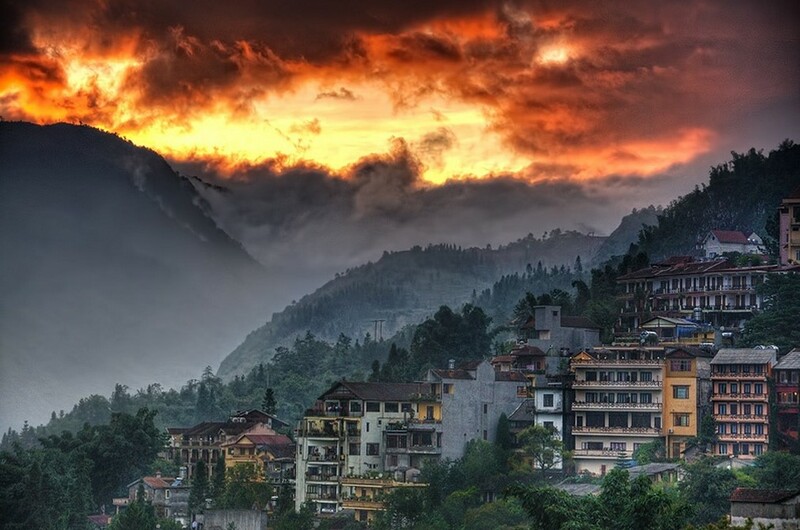 There are several stops in Sapa, ending at the stone church. By bus from elsewhere: The road to Dien Bien Phu is in bad condition, bus costs around 200,000 dong. It is small and crowded. Journey takes more than 10 hours. The Old road in the Sapa Town, Vietnam.